I hate press embargoes. Many who saw my initial feature last week on the 2011 Ford Explorer probably won’t even see this update, but for those that made their way back, thank you. I was disappointed Ford did not bring the EcoBoost version of the new Explorer but after reading some reviews of colleagues regarding the new turbo-four motor that will soon find its way under hood I am led to believe they need to do a bit more “final testing” of that powerplant before bringing it to market. Our V-6 Explorers performed just fine although when spinning the motor into higher rpm range there is a good bit of vibration and noise not usually found in import crossovers bearing similar engine/transmission setups. To be fair though the Jeep did the same thing. 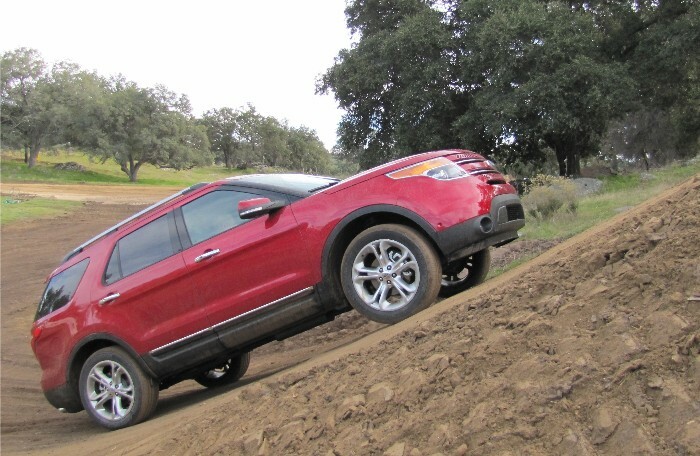 I watched one journalist throw the Explorer through a very harrowing twisty road course and I was impressed that he managed to keep the vehicle between the stripes. I heard from his passenger though that there were a few conversations held with personal saviors during that time. My experience in the 2011 Explorer offroad was a horse of a different color. I took the passenger seat first and while my driving partner crawled over hill and dale, something was taking its toll on my eardrums. The pressure kept building, similar to the wind buffeting when only one window is partially open while zipping down the road. The pressure was so bad I passed on taking my turn behind the wheel. As a measure of fairness I did drive the Grand Cherokee back-to-back with an Explorer on an unimproved road on the venue property and while the Ford did exhibit similar experiences to the offroad course I found no discomfort in the Jeep. Hmmmm. One Ford engineer wondered if the rear hatch had not been closed properly and was beating like the skin of “Big Bertha” at a Texas/OU football game, but I would have thought the driver would get some sort of warning indicator to signify an improperly shut door. For myself I was guessing perhaps it was the dual glass sunroof panels or the subfloor as there was no noise coming from the rear. I am going to request an Explorer from the press fleet to re-examine this issue as soon as one is available. A road trip to Barnwell Mountain recreation area should suffice and yes, I will be calling my Jeep club friend Ed Kent to meet me there in case we have another repeat of my last Ford (Raptor) trip out there. Back on the west coast, I was surprised to see Ford providing us a sand pit to test out the Terrain Management System modes. The Explorer was a blast in Sand mode but a bit of trouble arose as soon as we rutted the pit up a bit – a few tailpipe hangers fell victim to the aggressive driving. On to electronics. Oh my. 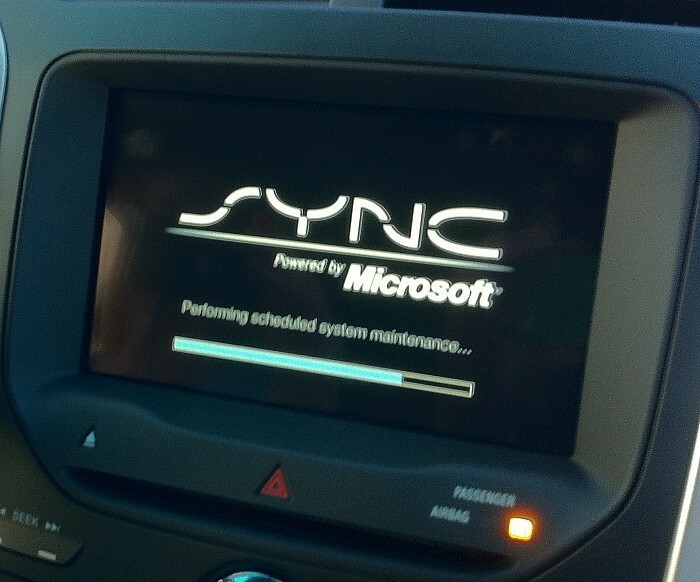 We got a SYNC/Microsoft black screen of death on our way back from the offroad site. Ford guessed this may have been due to the non-production software TeleNav loaded on our test vehicles so they could pre-program our drive routes for this event. OK, no problem. While the system re-boots we will just do things the old-fashioned way and use the dead-tree-version route instructions provided in each vehicle as a backup. Alright, we should be at 26.5 miles on the tripmeter. Wait – the trip meter is apparently being held hostage by Microsoft too! It reads “Paused,” and that we are not. OK, OK, we have another backup plan in place, we will just follow the little yellow arrows Ford has pre-positioned along the drive routes, kinda like bread crumbs. As in any good fairy tale there is a happy ending. Hansel and Gretel make it back safely in the Explorer and the system had come back online and our trip data had been backed up in memory so we did not lose any info. For the most part things went smoothly and as planned. I got a more thorough understanding of why my iPhone 4 does not always seem to work properly when connected and that is because I am not patient enough. It takes time to build the library to index my device and this system is a bit sluggish (like Windows98 slow). And there were a few times even the factory technology partners on-hand experienced slight glitches when demonstrating their wares. I am glad I was not the only one. Ford is getting very crossover heavy in its product lineup. Edge, Flex (sort of), now Explorer and rumor is the next Escape will follow suit (being based on the European Kuga). Expedition and F-Series are still there for your more demanding chores and I could easily see Explorer side-by-side with these in many households. It’s comfy, it’s quiet (below 4,000 rpm) and it’s cute. It’s loaded to the gills with safety and technology and it beats the pants off the previous model when it comes to fuel economy. It is significantly more stylish and modern inside and boasts some industry firsts such as inflatable seatbelts and curve control. 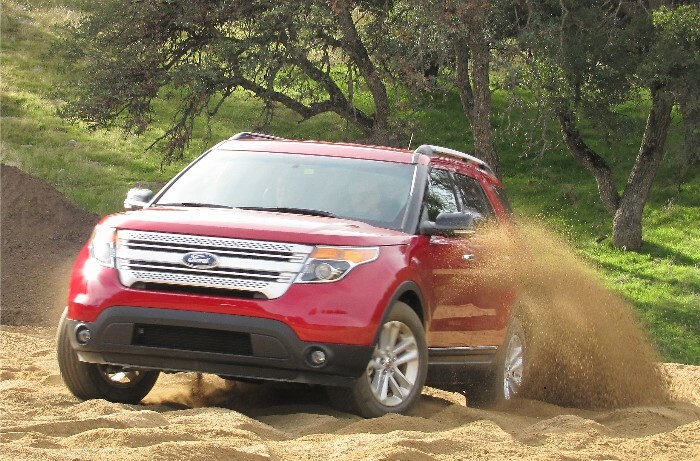 The 2011 Ford Explorer is definitely A utility for the 21st century, but consumers will have to decide if this is THEIR sport ute for the 21st century. TeleNav recently announced its expanded Ford partnership, which will bring connected navigation to its MyFord Touch-equipped vehicles around the world. Starting in 2011 with the all-new Ford Focus, TeleNav’s connected navigation solution will be available globally in North America, China, Europe and South America. Ford’s second-generation SYNC™ system uses TeleNav’s automotive-grade GPS navigation software to deliver real-time information to help drivers search, find and drive to places more reliably and efficiently. Similar to the U.S. version, MyFord Touch will include Eco-Route, an application developed by TeleNav that calculates a fuel-efficient option for each route. MyFord Touch and MyLincoln Touch are currently available in the U.S. in the 2011 Ford Edge and Lincoln MKX, and now in the 2011 Ford Explorer. Next Next post: What Would Santa Drive?